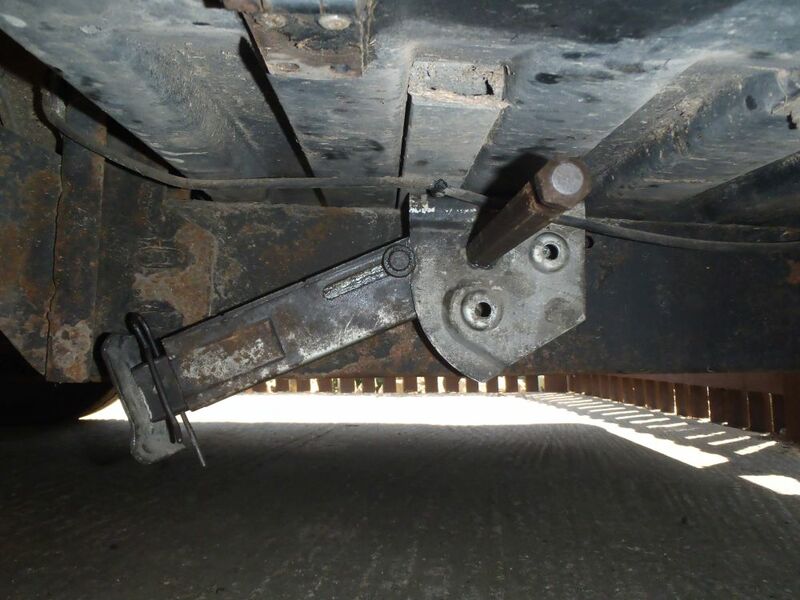 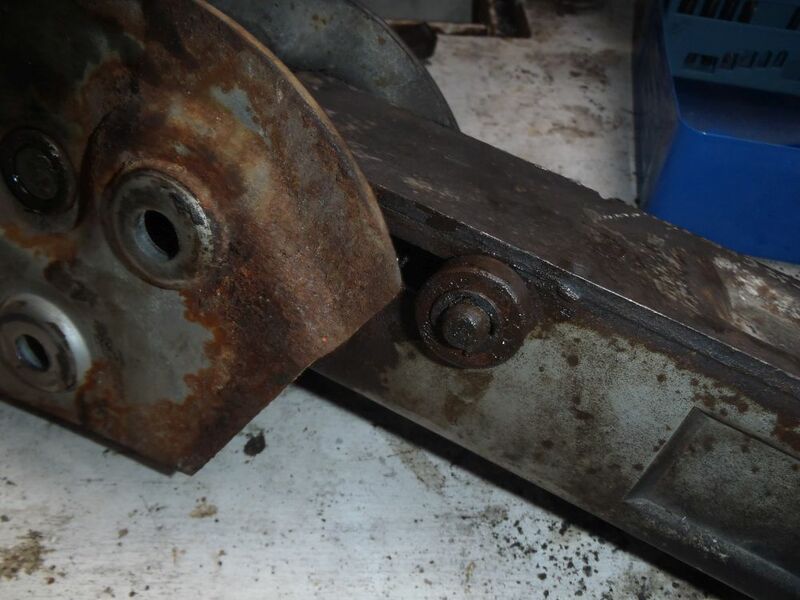 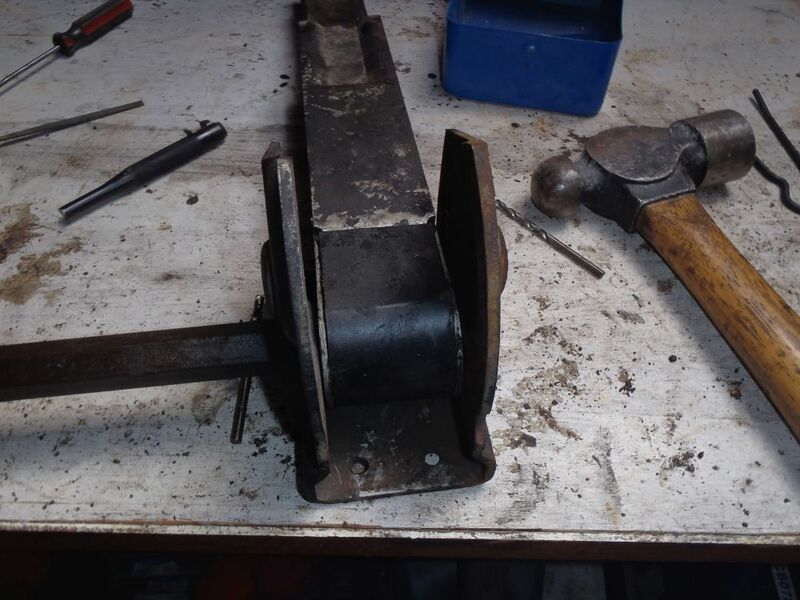 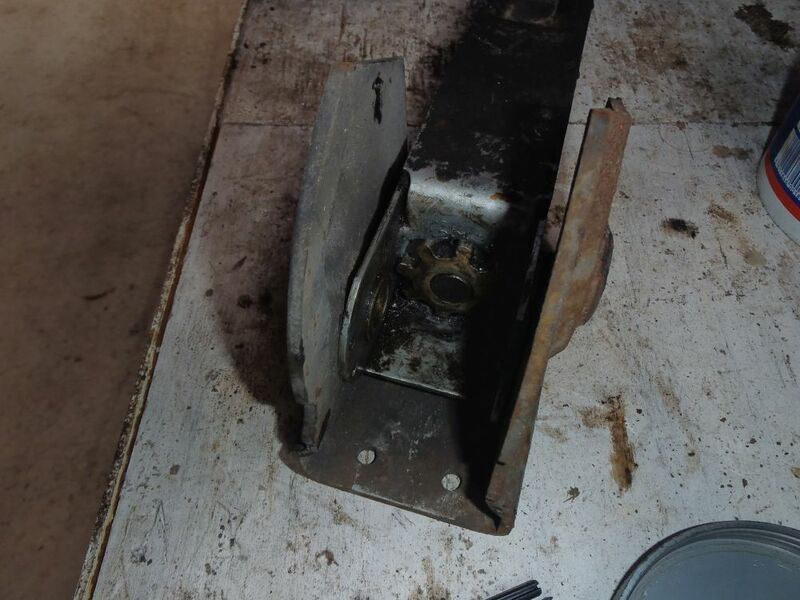 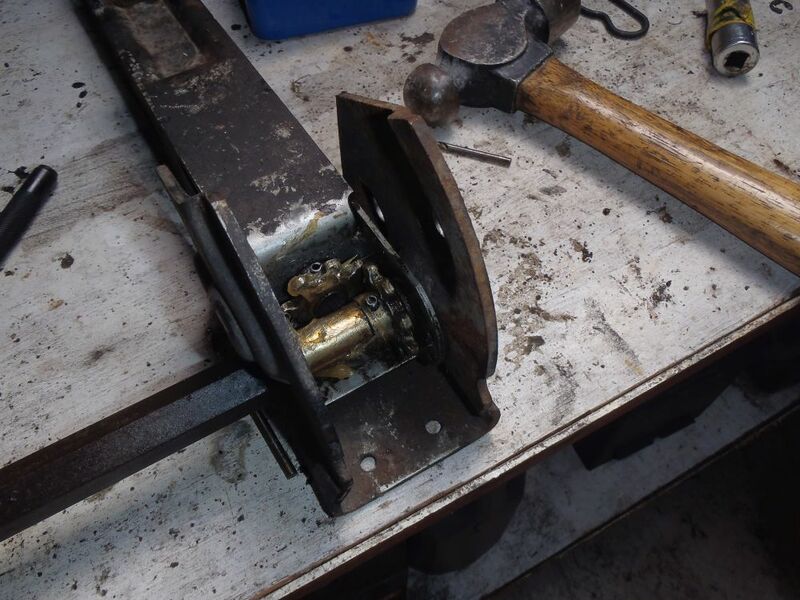 There mechanism in the top of the steady legs works with two small gears that are held on shafts with roll pins – using brute force to try and free the seized leg just sheared both roll pins!, there was no choice but to strip it down completely to sort in out. 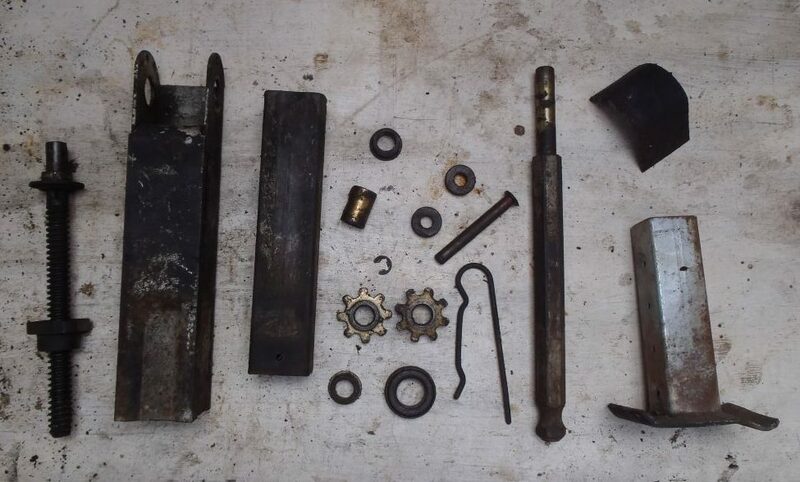 Once it was all dismantled this was the pile of parts I was left with, just a matter of reassembling the jigsaw……. 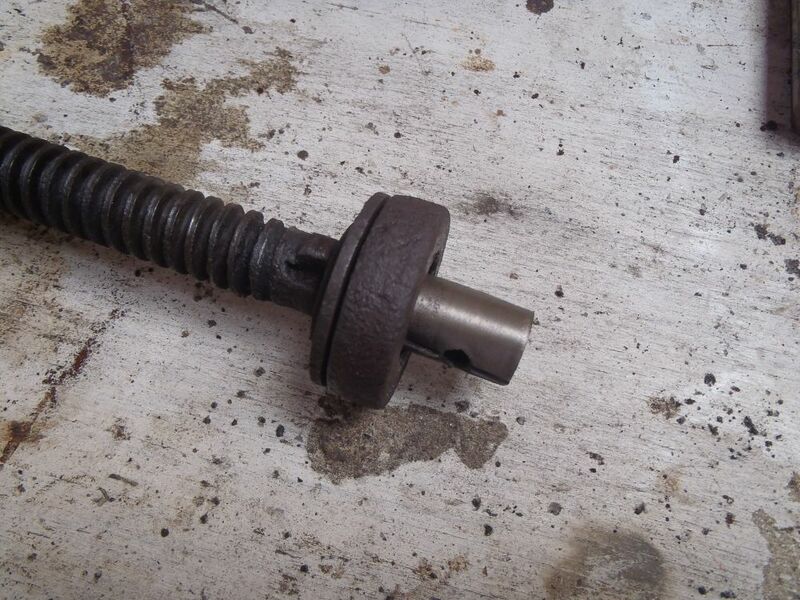 The main problem was the threaded shaft on the left of the picture above. 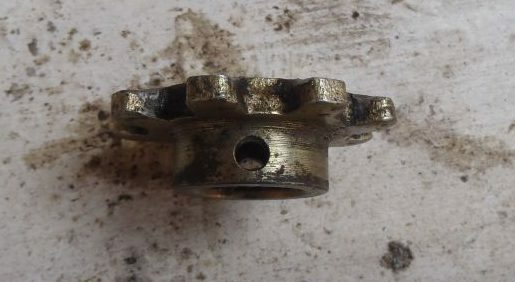 The nut that runs on the shaft and extends the leg was solidly rusted onto the shaft. 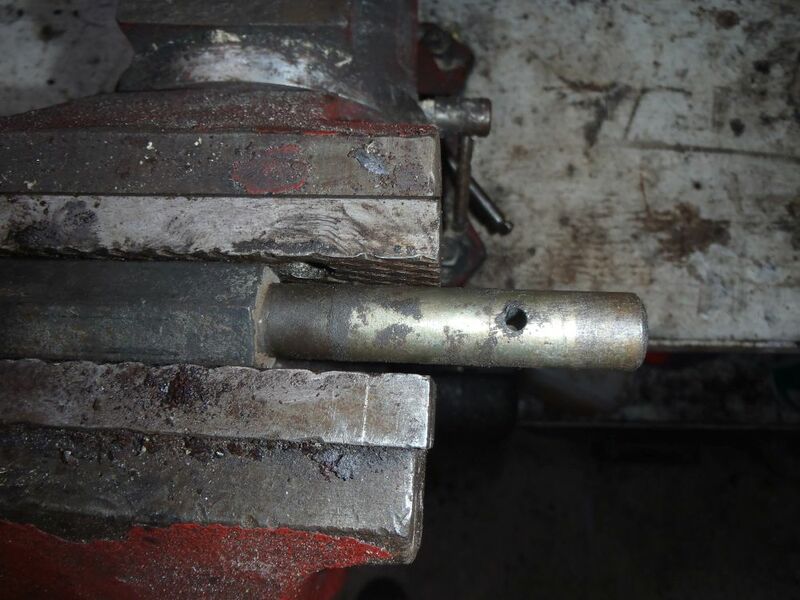 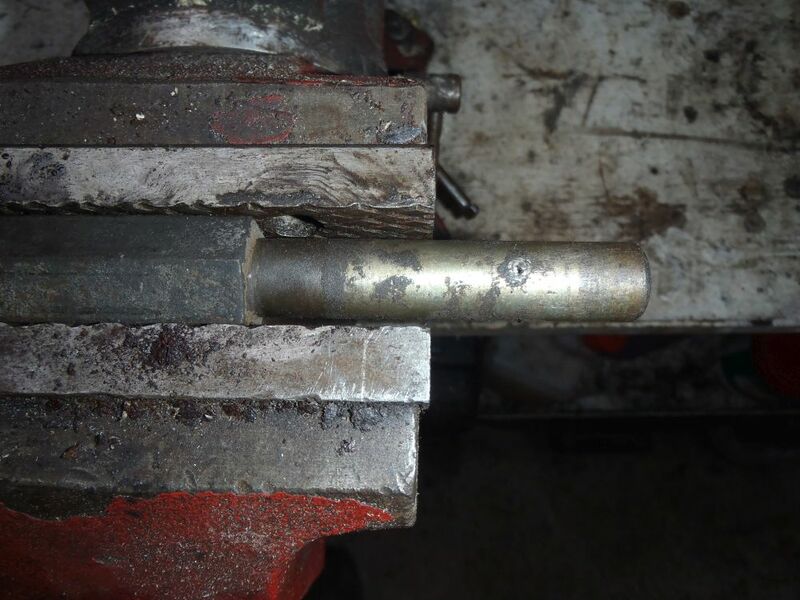 To free it off I held the shaft in a vise and heated the nut up with a blow torch until it was red hot, then using a pair of vice grips I could turn the shaft and free it off. 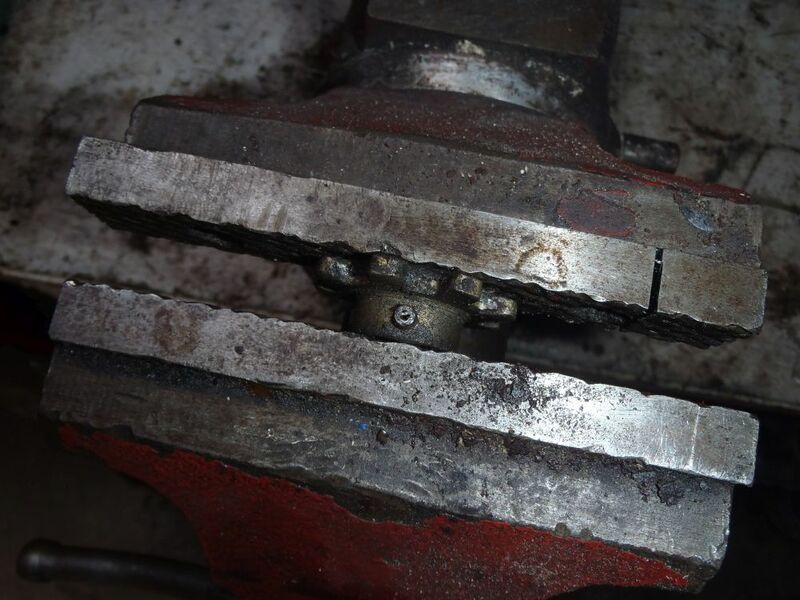 Then is was just a case of greasing the threads and running it up and down them a few times to clean them off. 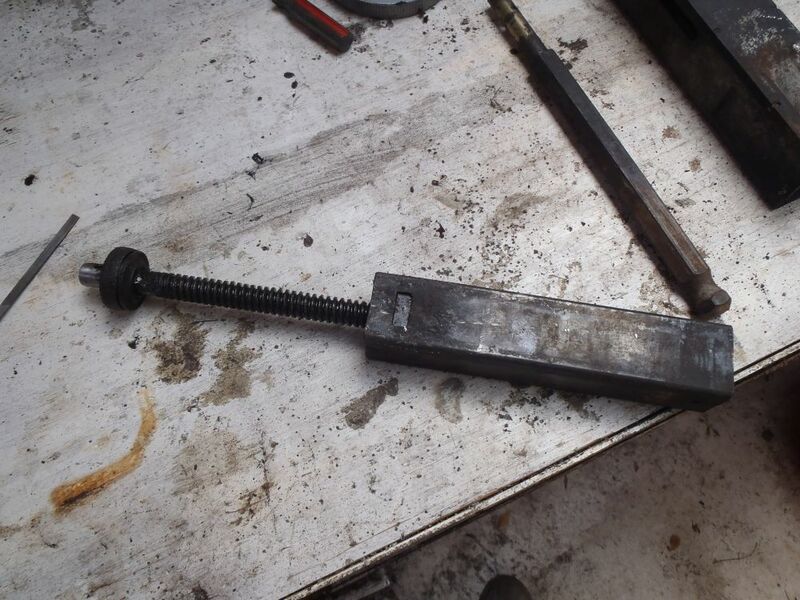 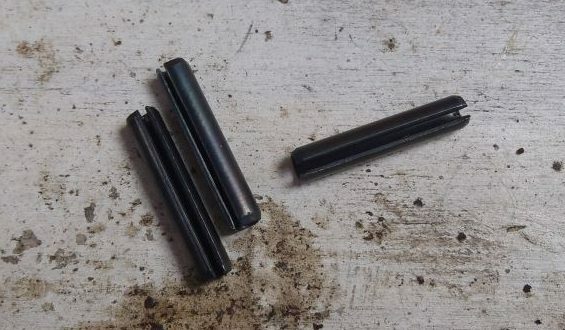 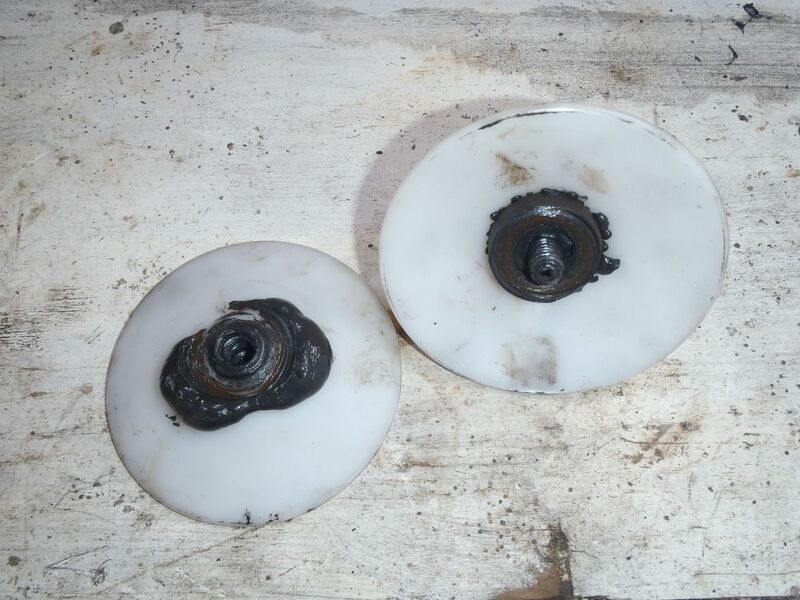 The same process was repeated with the threaded shaft and the gear that attaches to the top of that, I don’t have any photos of that but you get the idea…..
Hope this helps if you find yourself in the same situation, and questions let me know in the comments below……..